Sixty four acres of rolling hills and coastline — and no wifi. If you hate your neighbors and are looking for a change of scenery, why stop at moving to a new part of town when you can move to a private island with no neighbors at all? 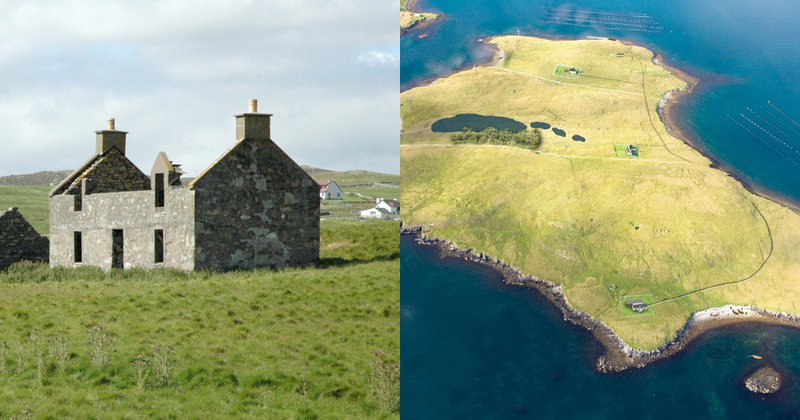 That’s the deal with Linga, a tiny island located in the Shetland Islands in the North Sea between Scotland and Norway. Linga recently hit the auction block at a starting bid of £250,000 — or about $350,000 USD. That might be a tad of an oversell for now. There’s not much to look at besides some sheep and two admittedly “derelict” cottages. You can walk from one side of the island to the other in less than a half hour. The scenery, though, is the best thing Linga’s got going for it: there’s no power, running water or internet on the island. But the local governing council has already granted approval for further developing Linga into an eco-tourism destination through the addition of a pier, a third cottage and wind and solar power generators. 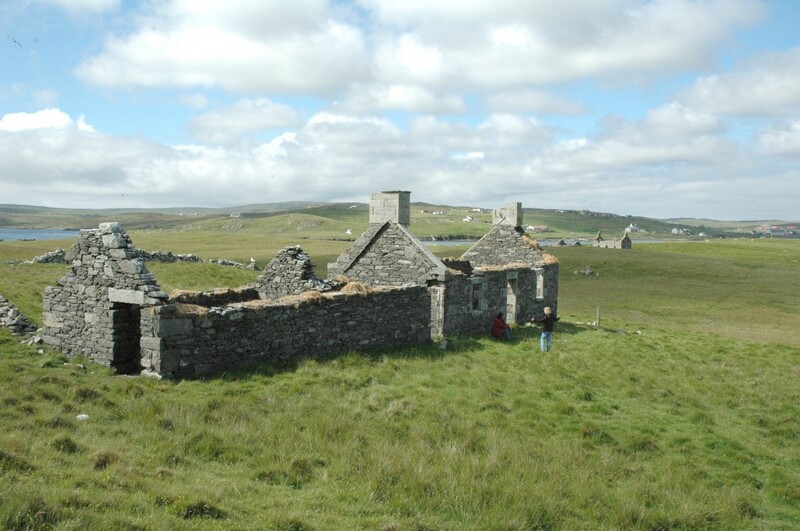 Visitors there could take part in fishing and traditional crofting (i.e. farming) activities, per its project description, and revel in the 4,000 native trees recently planted on the island as well. If someone buys Linga, it’ll have been a long time coming. The island has reportedly been uninhabited (by humans, at least) for over 80 years. Its last residents operated a small sheep farm. A group of Norwegian nudists called the Norse naturistforbund attempted to buy the island in 2016, but it appears nothing ever came out of their plans. Remote as it looks, Linga isn’t too far removed from civilization. It’s just a 1,600-foot boat ride from the town of Walls, which boasts a population of 978 and a very popular annual agriculture-focused Walls Show that features stunning sheep, ponies and cattle and what appears to be potato art. (The event’s been going on a long time: There’s even video from the 1960s showing the action at what was then known as the “Waas Show.”) And a half hour’s drive away from Walls is the Tingwall Airport in Lerwick, the capital of Shetland. 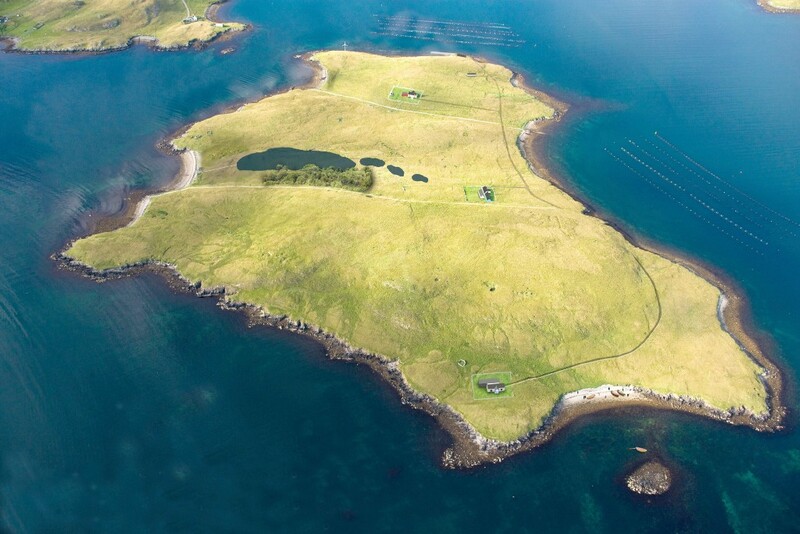 If you’re interested in this frozen-in-time island, you might want to get moving fast — the last time it went up for sale in 2014, there was a lot of interest in it right off the bat. The island’s been getting a lot of love online this time around too. And you wouldn’t want some nudists to beat you to it, would you?